At least as far as I am concerned, the past few years Twitter has made a number of missteps. Around two years ago they combined the feeds for retweets with mentions, making it harder for one to keep track of his or her tweets that have been retweeted. Yet another misstep occurred last year when they changed the way conversations are viewed, making it even harder to read conversations on Twitter. Now Twitter has made their biggest misstep of them all. This week they forced a new profile on all of their users. It is not simply that the new profile is aesthetically less appealing than the old one. The new profile simply is not as easy to use as the old one. Indeed, with the new profile Twitter has made it even harder to read one's own feed on his or her profile. This is due to the fact that tweets that receive more engagement now appear in a larger font than other tweets. Of course, the difference in the sizes of fonts between tweets makes one's feed harder to go through. I think I speak for many when I say that I would prefer for the fonts of tweets in my feed to all be the same size. I also think I speak for many when I say that I really do not care which of my tweets have received the most engagement. Even if I did, I wouldn't want the fonts on tweets to vary so that my feed was harder for me or anyone else to read. Twitter has made the "Following" and "Followers" pages harder to use as well. Both the "Following" and "Followers" pages used to display those who one was following or one's followers in a convenient, vertical list. Those one is following and one's followers are now displayed horizontally on one's page. Worse yet, they are displayed in gigantic boxes that occupy much of the screen. This not only makes it harder to scan those one is following or one's followers, but makes it slower to skim through them as well. The new Twitter profiles do retain header images, although they are of different dimensions than the old ones. This means many users will have to change their header images. The recommended size for the new header images are 1500px wide, 500px high. In other words, the new headers are long and narrow. I am sure I am not the only one who finds it difficult to find images that will fit this particular size. I suspect many people will simply choose not to have a header image at all. In a roundabout way, then, the new headers actually discourage personalisation of profiles. Other things I dislike about the new profile are simply because they are less aesthetically pleasing, not because they necessarily mean a loss in functionality or make Twitter more difficult to use. The profile pictures are much too large. The sidebars are much too large. It simply is not as compact, neat, and tidy as the old profile was. Another way to put it is that the new profile is, well, ugly. Ever since Twitter decided to combine the feeds for mentions and retweets I have used HootSuite for most of my tweeting needs. Unfortunately, there are those times (such as when I want to see if I have any new followers) when I have to visit my Twitter profile. When I visit my Twitter profile I want to see something that is easy to read, personalised to my tastes, and aesthetically pleasing. Unfortunately, the new Twitter profile fails on all of these accounts. I am hoping that there is enough of an outcry on the part of Twitter users that they will ditch this new profile design and return to the older, better one. And I hope they do it soon. Legendary poet, writer, and activist Maya Angelou died today, 28 May 2014, at the age of 86. Maya Angelou was born Marguerite Ann Johnson on 4 April 1928 in St. Louis, Missouri. Her older brother, Bailey Johnson Jr., gave her the nickname "Maya". It was when Dr. Angelou was only three years old that, following the end of her parents' marriage, her father sent her and her brother to stay with their paternal grandmother. Her grandmother ran a general store during the Great Depression and World War II. It was when Maya Angelou was seven that her father took the children back to St. Louis to be reared by their mother. Sadly, she was sexually abused by her mother's boyfriend. He was found guilty of the charges, but only spent one day in jail. He was killed only four days after his release from jail, possibly by Dr. Angelou's uncles. Maya Angelou then lost her voice for the next several years, fearing that it was her voice that had killed the man. It was not long afterwards that her brother Bailey Johnson Jr. and Maya Angelou were returned to the care of her paternal grandmother. It was a teacher, Bertha Flowers, who helped her regain her voice, as well as introduce her to the works of such authors as William Shakespeare, Frances Harpe, Charles Dickens, Edgar Allan Poe, and Anne Spencer. She was 14 years old when she and her brother went to live with her mother once more, who was now living in Oakland, California. During the Second World War she attended the Tom Mooney Labour School (now the California Labour School). It was also during this period that she became the first female street car conductor in San Francisco, California. It was in 1951 that Maya Agnelou married Tosh Angelos, a Greek aspiring musician. It was at this time that Dr. Angelou began studying dance. She and Mr. Angelos formed a dance team, billing themselves as "Al and Rita". They moved to New York City for a year before returning to San Francisco. Maya Angelou's marriage to Tosh Angelos ended in 1954. She danced at various clubs in the San Francisco area under the name Marguerite Johnson , among them the famous Purple Onion. It was there that she sang calypso music and danced to it as well. It was the managers of the Purple Onion who suggested she adopt the name Maya Angelou. In 1954 and 1955 Maya Angelou toured Europe with a production of Porgy and Bess. In 1957 she released the album Miss Calypso, on which she sang calypso songs. It was in 1959 that she appeared in an uncredited role as a dancer in the film adaptation of Porgy and Bess. That same year she met novelist James O. Killens, who encouraged her to pursue her writing career. It was after she met Martin Luther King Jr. that in 1960 that she wrote and performed Cabaret for Freedom as a benefit for the the Southern Christian Leadership Conference (SCLC). She also became the SCLC's Northern Coordinator. That same year she appeared in the off-Broadway production The Blacks. It was in 1961 that she met South African civil rights activist Vusumzi Make. The two of them moved to Cairo, Egypt where Maya Angelou became an associate editor at the newspaper The Arab Observer. After her relationship with Mr. Make ended, Miss Angelou moved to Ghana where she became an administrator at the University of Ghana and feature editor for The African Review. She wrote for both The Ghanaian Times and Radio Ghana. It was while in Africa that she met Malcolm X. She would return to the United States in 1965 to assist him in founding the Organization of Afro-American Unity. In 1966 her short play The Least of These was staged in Los Angeles. It was followed in 1967 by her play Gettin' up Stayed on My Mind. In 1968 Maya Angelou wrote, narrated, and produced the ten hour documentary series Blacks, Blues, Black! for National Educational Television. It was with novelist and friend James Baldwin's encouragement that Miss Angelou wrote her autobiography I Know Why the Caged Bird Sings. Published in 1969 it became a bestseller almost immediately and brought Dr. Angelou into the national spotlight. I Know Why the Caged Bird Sings would be followed by several other autobiographical volumes, including Gather Together in My Name (1974), Singin' and Swingin' and Gettin' Merry Like Christmas (1976), The Heart of a Woman (1981), All God's Children Need Travelling Shoes (1986), A Song Flung Up to Heaven (2002), and Mom & Me & Mom (2013). It was in 1971 that her first volume of poetry, Just Give Me a Cool Drink of Water 'fore I Diiie, was published. It was followed by several more volumes of poetry. Maya Angelou wrote the feature film Georgia, Georgia and also composed its soundtrack. The film was directed by Stig Björkman and released in 1972. In 1973 she appeared on Broadway in the production Look Away. In 1974 she adapted Sophocles' play Ajax for the Mark Taper Forum in Los Angeles. In 1977 she appeared in the television mini-series Roots. That same year she wrote the one act musical And Still I Rise. It was in 1981 that she was appointed as Reynolds Professor of American Studies at Wake Forest University in Winston-Salem, North Carolina. In 1982 she wrote the television film Sister, Sister. She appeared on such shows as Creativity with Bill Moyers and Reading Rainbow in the Eighties. In 1993 Dr. Angelou performed her poem "On the Pulse of Morning" at President Bill Clinton's inauguration. That same year she appeared in the film Poetic Justice (1993) and the TV movie There Are No Children Here (1993). Her first children's book, Life Doesn't Frighten Me, and her first collection essays, Wouldn't Take Nothing for My Journey Now , were both published in 1993. In 1995 she guest starred in an episode of Touched by An Angel and appeared in the film How to Make an American Quilt (1995). The HBO special, How Do You Spell God?, which she co-wrote, aired in 1995. In 2000 she appeared in the Hallmark Hall of Fame presentation The Runaway. In the Naughts she appeared as May in the feature film Madea's Family Reunion (2006). From the Nineties into the Naughts she published six more children's books, two more books of essays, two cookbooks, several more autobiographical volumes, and several more volumes of poetry. Words are inadequate to sum up the life of Maya Agelou. She was a true renaissance woman, with a large amount of talent in multiple fields of expertise. She was an author, a poet, a playwright, a singer, an actress, and a dancer. In Hollywood an actor who can sing, dance, and act is often called a triple threat, but Dr. Angelou went well beyond that. Of course, it may well be her poetry and writing for which she is best remembered. As a poet Maya Angelou had a lyricism that was sorely lacking in most poetry of the 20th Century. At the same time her poetry spoke not only to the experience of African Americans and women, but to anyone. It had a universal appeal in that it that dealt with experiences common to most of humanity. Dr. Angelou was also a great writer. Her first autobiography, I Know Why the Caged Bird Sings was a frank and yet poetic portrait of life in the segregated South of the mid-20th Century. Her following autobiographies would be no less forthright and lyrical than the first. 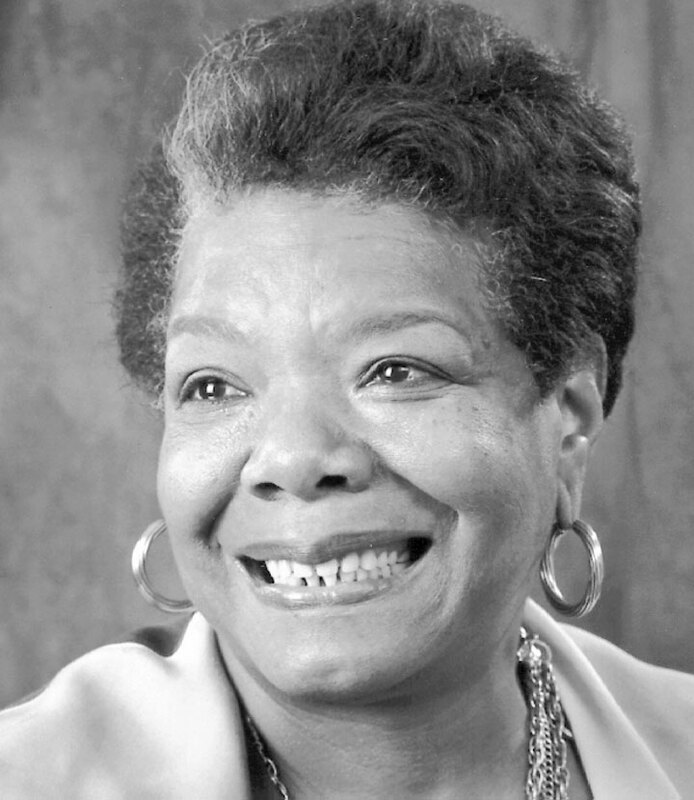 Maya Angelou was one of the first African American women to write an autobiography and as such was an important figure in chronicling the black experience in 20th Century America. Of course, beyond her poetry and her writing Maya Angelou was an important figure in the Civil Rights Movement. She worked with both Malcolm X and Martin Luther King Jr. She served as Northern Coordinator for the promote the Southern Christian Leadership Conference and helped form the Organization of Afro-American Unity. Ultimately Dr. Angelou was not simply a poet or author, but an individual who sought to make a difference in the world. She not only did this through her poem and books, but through taking an hand in activity that would lead to change. If Maya Angelou is one of the most respected women of the 20th Century, then it is because she actively sought to change the world around her. 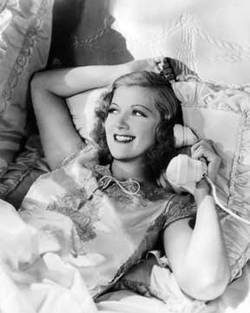 Stella Adler could have easily been one of the great movie stars of the Thirties and Forties. Not only was she an extremely talented actress, but she was also blessed with striking features and a pleasing figure that seemed tailor made for the silver screen. While she came from one of the major acting dynasties of Yiddish theatre, however, Stella's destiny would lie elsewhere. Quite simply, Stella Adler became one of the most famous acting teachers of the 20th Century. Among her students numbered such names as Marlon Brando, Benicio Del Toro, Robert De Niro, Salma Hayek, Nick Nolte, and John Ritter. Despite her fame as an acting instructor, the full story of Stella Adler's life has never been told until now. Author Sheana Ochoa has written the first biography of the legendary acting teacher. Stella! 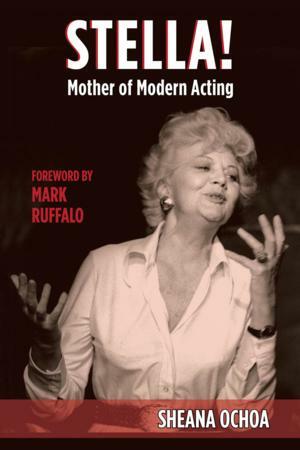 Mother Of Modern Acting is a detailed account of Stella's life and career. Miss Ochoa has done an impressive job in telling Stella Adler's life story. While Miss Ochoa obviously admires Stella, Stella! Mother Of Modern Acting is not a simple love letter to a legendary figure. Miss Ochoa gives us a balanced picture of the woman that was Stella Alder, both the good and the bad. The author goes into considerable detail on Stella's youth as the daughter of Yiddish acting legend Jacob Adler, her long time rivalry with Lee Strasberg, her relationship with drama critic and theatre director Harold Clurman, and her time spent both on Broadway and Hollywood. Of course, no person exists in a vacuum, and Sheana Ochoa devotes a considerable amount of time to the milieus into which Stella was born and lived. The author goes into considerable detail on the Adler acting dynasty, the history of Yiddish theatre on New York City's Lower East Side, and the changes in acting from the more flamboyant styles of the early 20th Century to the more realistic techniques influenced by Constantin Stanislavski. There is a wealth of detail to be found in Stella! The Mother of Modern Acting, even beyond the legendary Stella Adler herself. Here I must point out that Stella! The Mother of Modern Acting is not for those who are looking for light reading. Sheana Ochoa has what could perhaps be best described as a dense writing style, relaying a good deal of information in any given paragraph. If one is looking for a book that is easily read in one night, then Stella! The Mother of Modern Acting may not be for you. On the other hand, if you are looking for a book that paints an honest, balanced, and detailed account of its subject's life, then this is definitely a book you'll want to read. Sheana Ochoa has clearly done her research on Stella Adler, and it shows in the book. Written with great detail and with no judgements made towards Stella herself, Stella! The Mother of Modern Acting is a fitting tribute to one of the greatest acting instructors of all time.